Hi, friends! 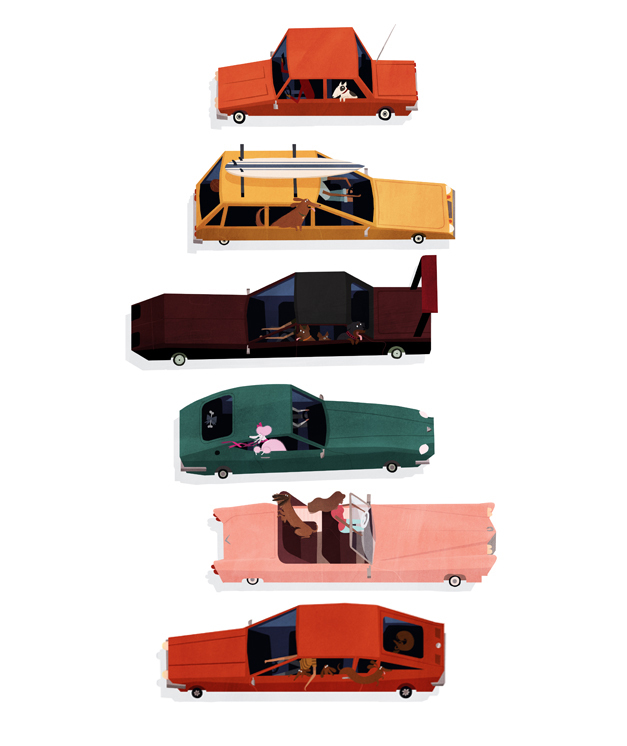 I'm working on a new DIY project for tomorrow, but in the meantime I wanted to share these great retro-esque illustrations by Emmanuelle Walker entitled "Dogmobiles." 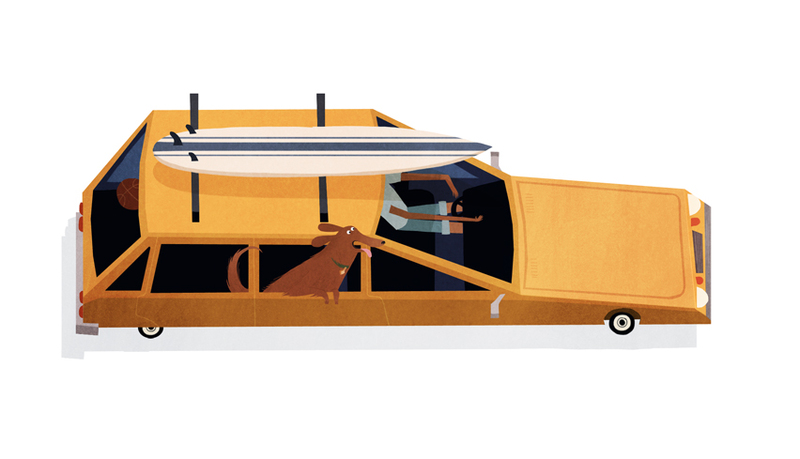 Dogs + Cars? Um, yes! Everything I love!! 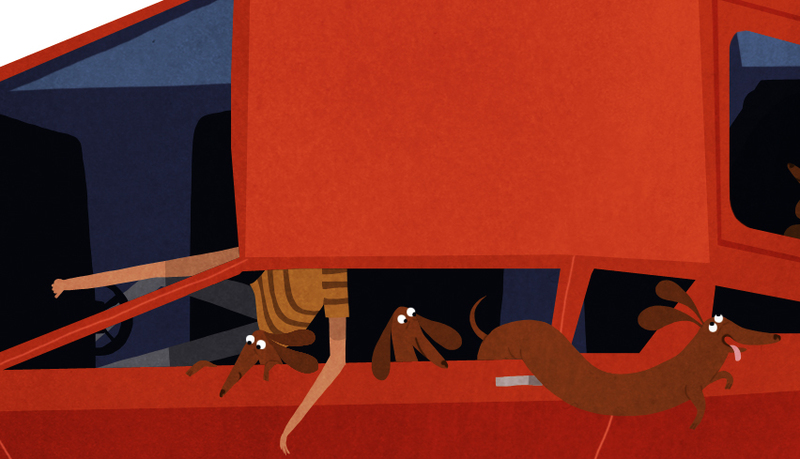 Especially these weiners! Change the car from red to yellow and that'll totally be me someday. Check out more of Emanuelle's portfolio here. And a big thanks to everyone who came out to say hi at the craft shows over the last two weekends! I'm still getting back in the groove after working two weekends back-to-back but it was so great to get out and meet some of you in person!